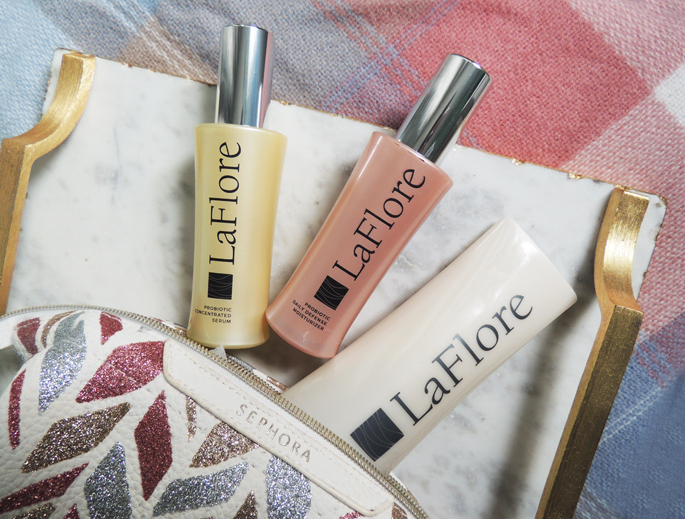 The three products in the LaFlore line are the probiotic cleanser, serum concentrate and the probiotic daily defense moisturizer. All three of these are plant based and organic, cruelty free and free of parabens, sulfates, gluten and all of that unnecessary you-know-what that we SO don't need in skincare products! 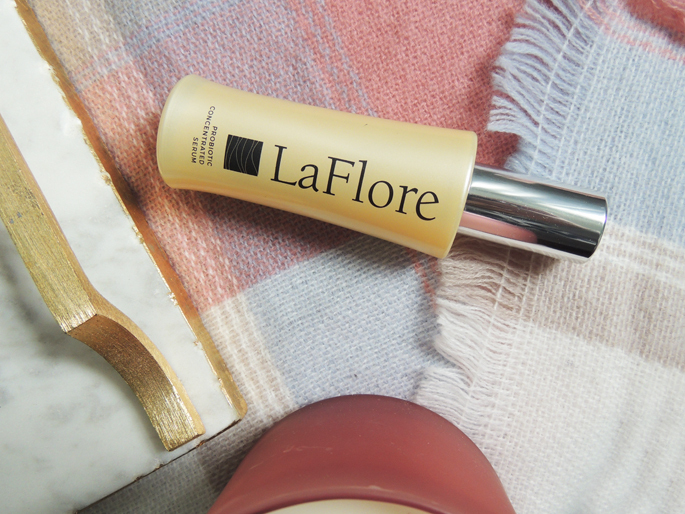 Whether it's because the cold weather is hitting, you're traveling or your skin just needs some extra TLC, the probiotics in the LaFlore formula makes sure that your skin is nourished and gets down deeper to take care of any deep skin issues too. 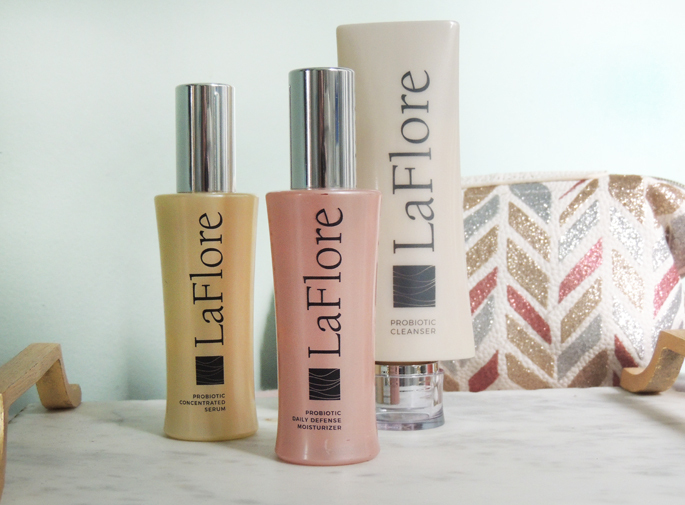 LaFlore Probiotic Cleanser: one of my biggest pet peeves with face cleansers is when they smell like chemicals or don't smell like something you'd want to put on your face. That's always what I do first when I look to buy/try a new cleanser - smell it. Is that weird? Haha - I always do that with skincare products! I'm happy to say that this cleanser smells *so* natural, clean and calming. It's made with ingredients like Perilla Seed Oil, which is great for exfoliating, hydration, circulation and cell renewal too. It's basically a cleanser/exfoliantall in one - so when applying it each day, I rub it in and let it sit for a few minutes and then wash it off with a warm washcloth. Cleanser and exfoliant in one bottle - check that off of the packing list! 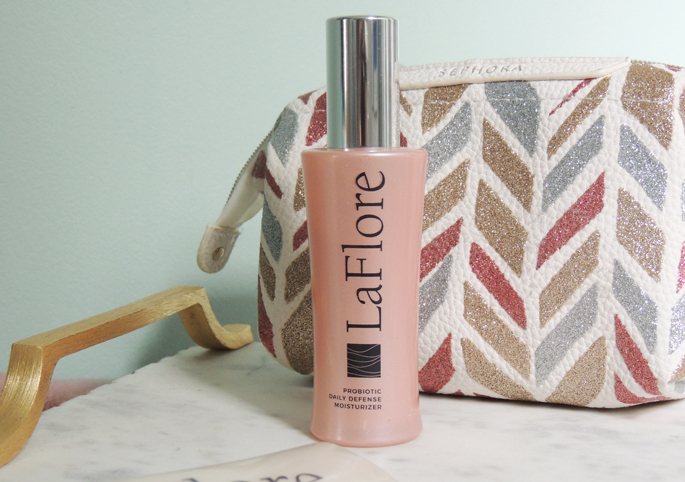 LaFlore Serum Concentrate: this may be my favorite product to use from the LaFlore line, mainly because it has aloe in it! I LOVE aloe. It's so natural and has so many health benefits for your skin, and there really is nothing better than natural aloe on a burn or dry skin to sooth it! Back to my point though - it also has hemp seed oil, avocado (!!!) and Jojoba - to name a few - amazing ingredients. All of these natural oils and ingredients together allow your skin to rejuvenate, heal, calm inflammation and boost your overall immune system. Never have I used skincare products that were SO good for you before! It's truly an amazing serum - it works so well, and I can't even begin to describe just how calming it is. During these colder months especially, my cheeks get red and my skin and lips feel SO uncomfortably dry. Regular dry skin products don't always do the job, but this serum is so soothing and hydrating that I could go without using a moisturizer technically, and still feel like my skin is silky smooth. If dryness is one of your main issues too, you'll be amazed at this stuff! I assumed it'd be like every other product I've tried that promised to help my skin, but it's extremely different in so many positive ways. And as if this serum concentrate wasn't good enough, it gets better... You can use it as a spot treatment to help treat a blemish! 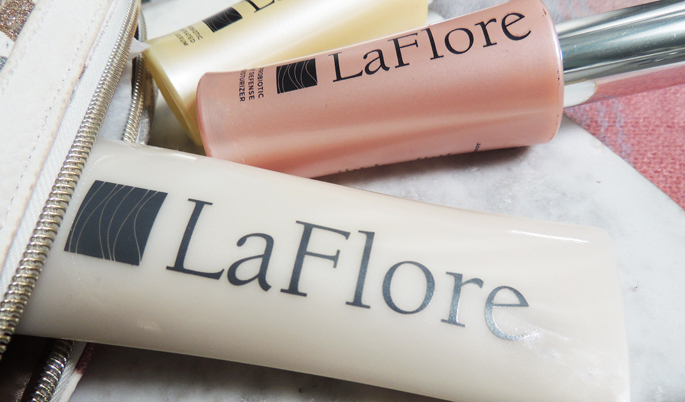 LaFlore Probiotic Daily Defense Moisturizer: my favorite part to any skincare routine is the moisturizer! In a good moisturizer, I look for natural ingredients, a simple/clean - or better yet, scentless - smell and a non-sticky feel after applying. This one goes above and beyond ALL of that! It's extremely lightweight and helps to strengthen your skin's flora, increase its cellular metabolism and works to enhance collagen, which works hard to fight off the stress brought on by your makeup, soaps, etc. It's made with aloe too, and has Vitamin D3 in it to help with the overall health of your skin. The aloe is a huge part of LaFlore's secret - instead of using a water base, they use aloe which is partially why it's all so healing, hydrating and soothing. 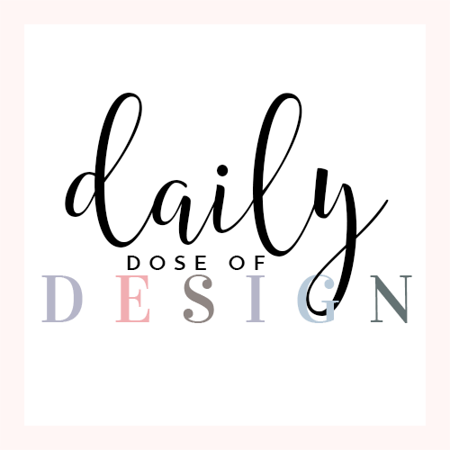 It's kind of crazy to think that these three products have SIX benefits to them - that's narrowing down the product you pack to travel with by 3 or more bottles/jars! 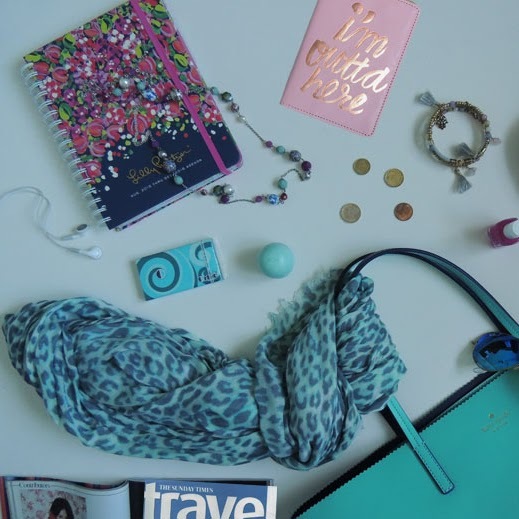 And after using these products for just about a month now, I'm excited to travel with them and know that they work well enough to be the only products I need, even on a trip. 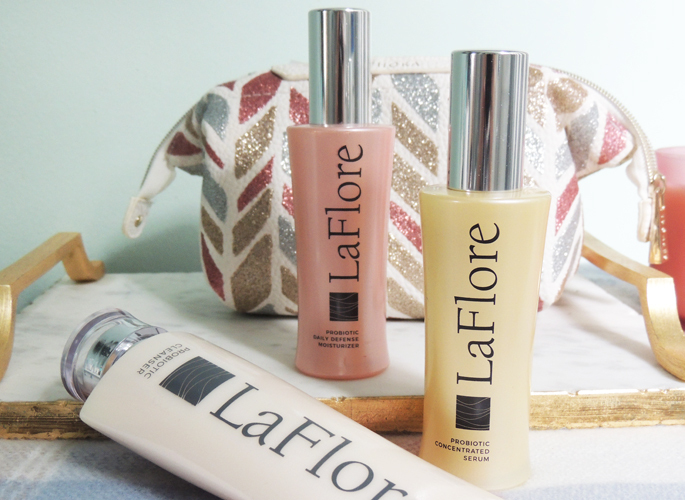 Now, I'm one to have a morning and nightly skincare routine on top of washing my face, but when using the LaFlore products they say it's best to only wash at night. 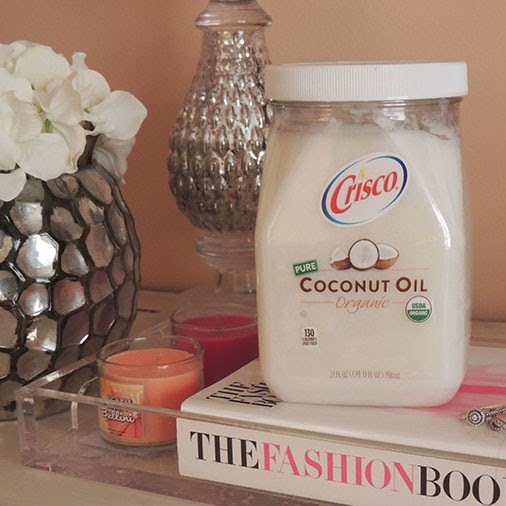 This is to make sure that the ingredients have time to sooth, cleanse and work to the max. The cleanser is meant to wash the remainder of your makeup and basically the day away at night, and the serum concentrate helps to replenish your skin overnight; while the moisturizer is best used in the morning to protect your skin for the day ahead. 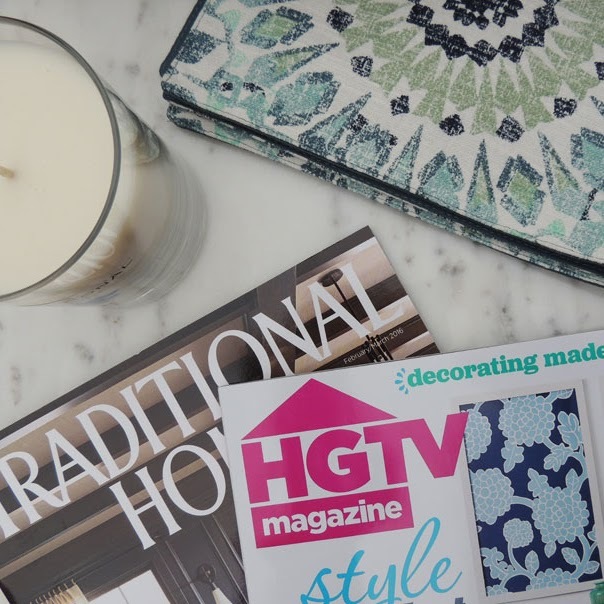 I could go on and on about this brand all day - that's how much I love it. It works wonders on your skins health and appearance, and on top of everything else, it brightens too! 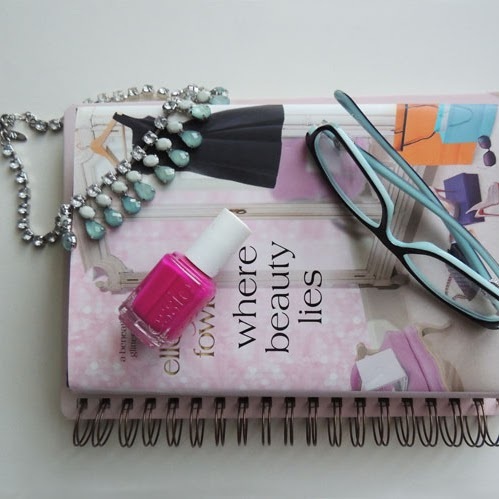 Both the serum concentrate and moisturizer have added pearls and brightening effects to even your skin tone. After using it for a couple of weeks, you'll 100% be able to see how much brighter your skin tone is. 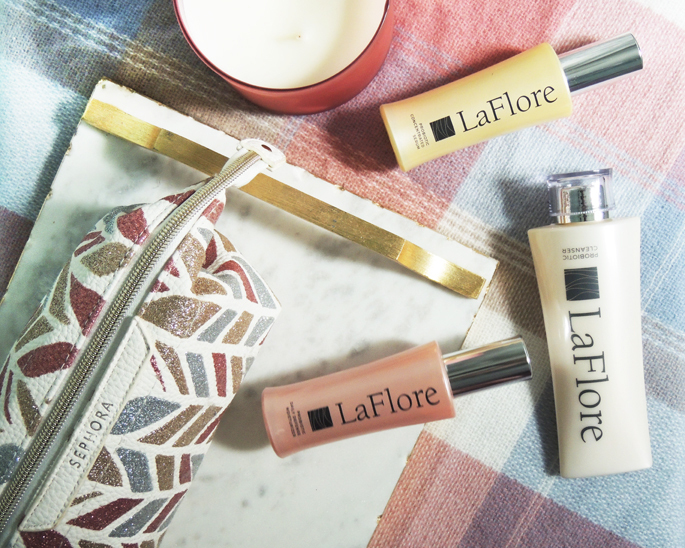 Ooooo I need LaFlore in my life - I have a ton of traveling coming up for the holidays and my first cruise! These look perfect to bring with! So happy I found this post today. I am about to take a trip soon and my skin always suffers when I travel. These products are a great size! I have lots of get skincare products but they're a pain to travel with! I love using skin care with probiotics. It makes my skin feel so soft and rejuvenated. 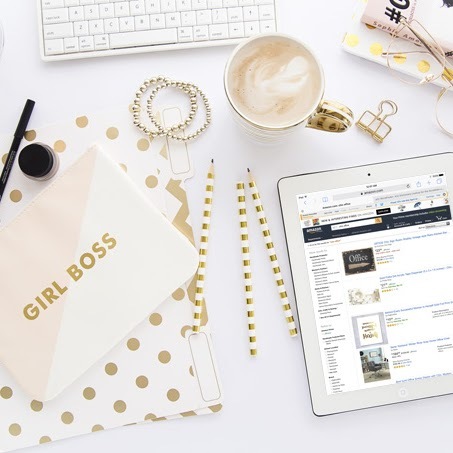 These sound like awesome products and even better that they're great to travel with! I always have trouble with over packing so maybe this is what I need! First of all, these are beautifully packaged. They look like great products. My skin is sensitive and acne-prone -- do you think these would be good? I've never even heard of this brand! But I do LOVE probiotic skin care, so I'll have to give them a try! WOW this looks like such a great skincare system! Travel and change in climates is so hard on my skin. I will have to look into this brand. It is a new one for me. I so love skincare. I think it is so much fun to try new skincare products, I've never used probiotic skincare before though!